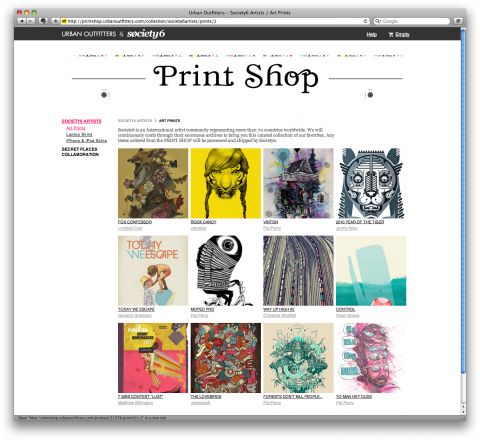 shop print shop — Turkois. Urban Outfitters has teamed up with Society6 to create the PRINT SHOP. It combines the art of thousands of artists from all over the world in 70 countries. Basically it allows you to view all that art, some good some bad, grab your favorite pieces and have it printed as a highres poster, on an iPhone or laptop skin- with cash moooney going stright to the artist. Society6 will print it and ship it directly to you. Look for our stuff on their soonish!